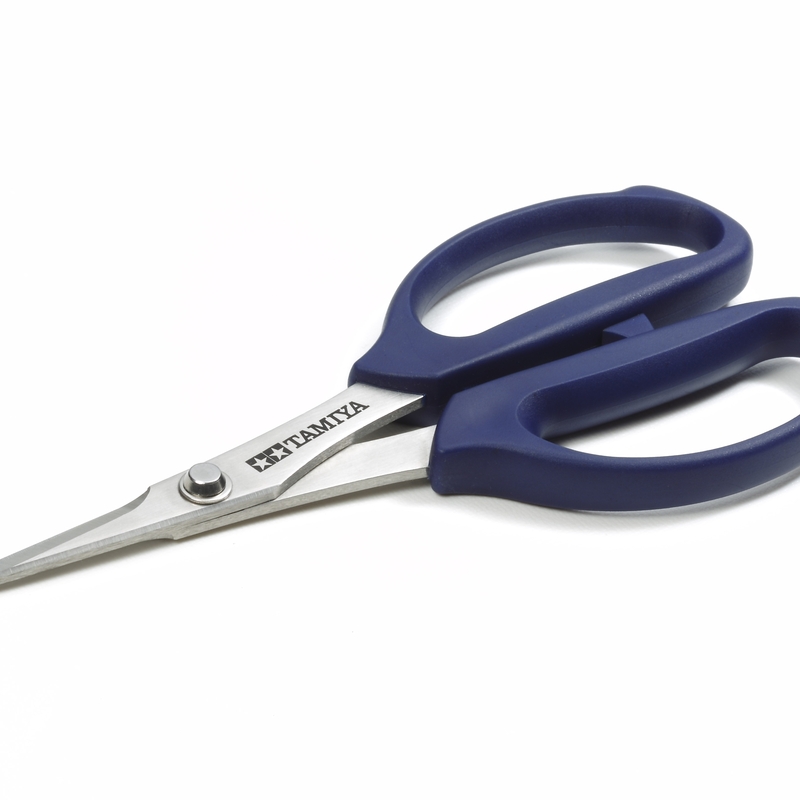 These versatile scissors are a must-have addition to every modeler"s tool kit - not only can the high-quality blades cut through plastic such as the polycarbonate used on many Tamiya R/C model bodies, they can also handle softer metals and other materials/thicknesses above and beyond the capabilities of standard scissors. 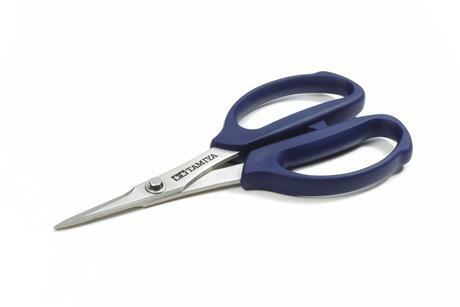 • Length: 170mm; blade length: 40mm. • Blade material: anti-rust treated stainless steel. • Features a stylish navy blue grip. Suitable material thicknesses that may be cut: Note: materials and thicknesses are intended as a guideline only.